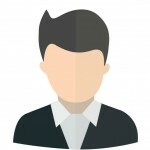 Many companies realize the importance of streamlining their supply chain processes - the myriad of benefits reaped from automating manual processes in order to better manage large volumes of paperwork, reduce hours of administrative duties, and reduce the potential for errors that could be encountered at any step of the supply chain process. Companies make it a priority to invest in a new ERP (Enterprise Resource Planning) software, a large investment for any size company. A common mistake companies, regardless of size, seem to make when preparing to move to a new ERP business system is not involving EDI experts earlier in the process. Most companies tend to place EDI on the bottom of the priority list. The backbone of your business comes from your ability to fulfill customer orders and, in turn, receive prompt payment for those products. The most important factor in streamlining your supply chain process is ensuring you can integrate purchase orders received from your customers, as well as issue invoices as simply and efficiently as possible. 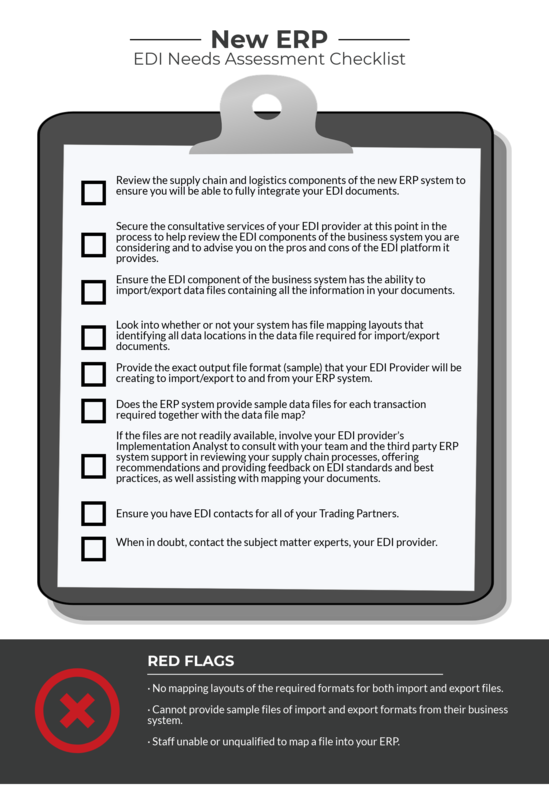 A key component of establishing full integration is ensuring your import and export data files have mapping layouts available for your EDI solution provider to utilize when setting you up to trade with your customers. Commport’s EDI analysts run into issues when brought in too late in the game. Some of these issues arise from third party IT professionals creating import and export files without knowledge of EDI standards and best practices. Companies are then forced to pay additional third party fees to revise layouts once they begin working with their EDI solution provider, resulting in a large amount of back and forth between your EDI provider and ERP system provider, thus causing your implementation fees to skyrocket. Consulting subject matter experts early in the process allows them to work together with your ERP system support team to create/generate the correct EDI or flat file (.csv, .xml etc.) output and input files in a single effort, resulting in large monetary and time savings. When considering the move to a new ERP system, call your EDI solution provider to provide consultative services to ensure you are following EDI standards and best practices when setting up your supply chain internal processes. Our implementers’ extensive experience assisting with these migrations provides invaluable direction on simplifying and streamlining your processes and creating correct import and export files to best suit your business needs. To aid you in selecting an ERP business system, or planning your company’s migration to a new ERP software, Commport has created a checklist of items to review. We have also indicated the times at which investing in EDI consulting from your EDI provider is recommended and highlighted any red flags that should alert you to a possible software inadequacy.